We've got some new high-res images for a pair of upcoming Target exclusives. 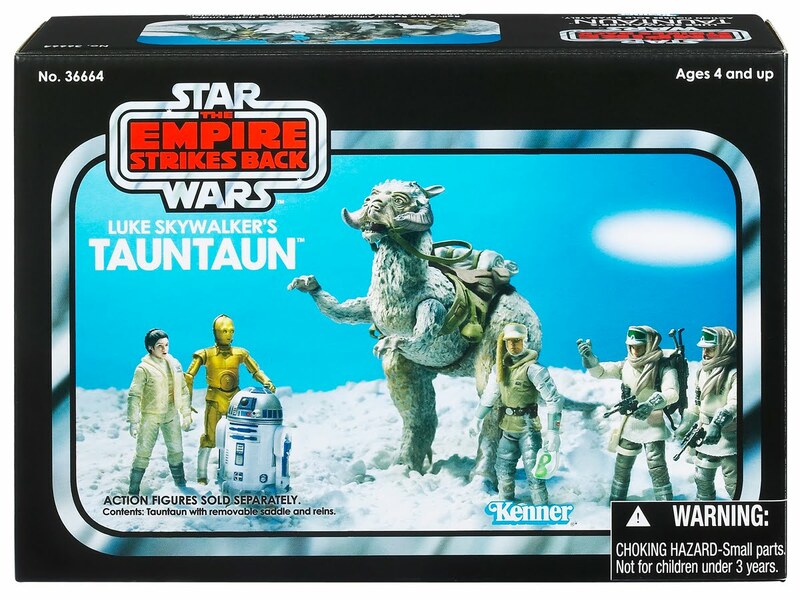 The Vintage boxed Luke Skywalker's TaunTaun and Landspeeder won't be out until later this Fall, but you can get a better look at them today by clicking on the thumbnails! Spike TV will be airing a special Star Wars movie marathon over Labor Day weekend. 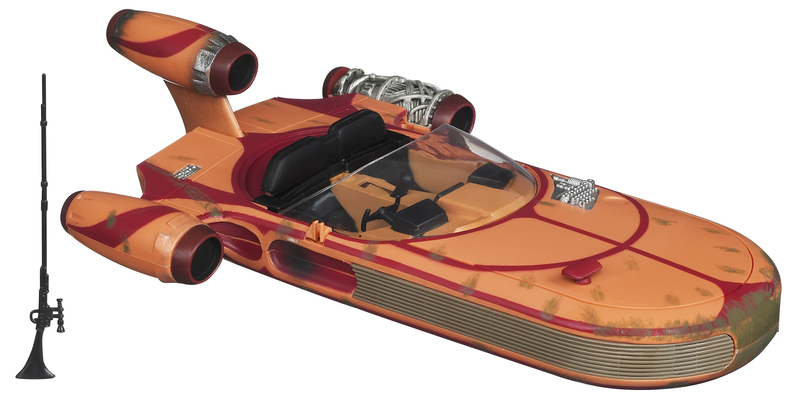 During the broadcasts, Allen Haff and Ton Jones, the stars of Spike TV's Auction Hunters, will check out some of the collectibles and rare valuables at Skywalker Ranch, offering everyone closer looks at original props, costumes, models, and more from the Star Wars Saga. Changes to the Star Wars Saga on Blu-ray? Lots of rumors are circulating around the internet today of some changes that have been made to the beloved Original Trilogy for the Blu-ray release. CGI eyes on Wicket? A girlie "Nooo" from Vader as the Emperor zaps Luke? A Homer Simpson-esque hoot from Obi-Wan? Check out the JediDefender Forums to follow the rumors as they surface! Looking for a way to donate some money to charity and have a chance to win a nifty prize? Check out Sandtrooper's Premium Membership Program, where a portion of the money raised will go to Diabetes Research Institute and you get a chance to win a SDCC exclusive McQuarrie Snowtrooper Mini-Bust from Gentle Giant! Sony Online Entertainment has revealed a bit more on their plans for the shut-down of Star Wars Galaxies. Prior to the December 15th shut-down, the Galactic Civil War points for each side will be tallied by server. The side with the higher score will "win" the game, which will determine the way the game will end and what happens in the final moments. Remeber the limited edition Star Wars Kinect Xbox360 console that Microsoft announced at SDCC? Well, the big gaming websites are all reporting that it's been delayed until... well, 2012 at least. Microsoft and LucasArts needed a bit more time to polish up the apparently buggy Kinect Star Wars game, so the delay is probably worth it. 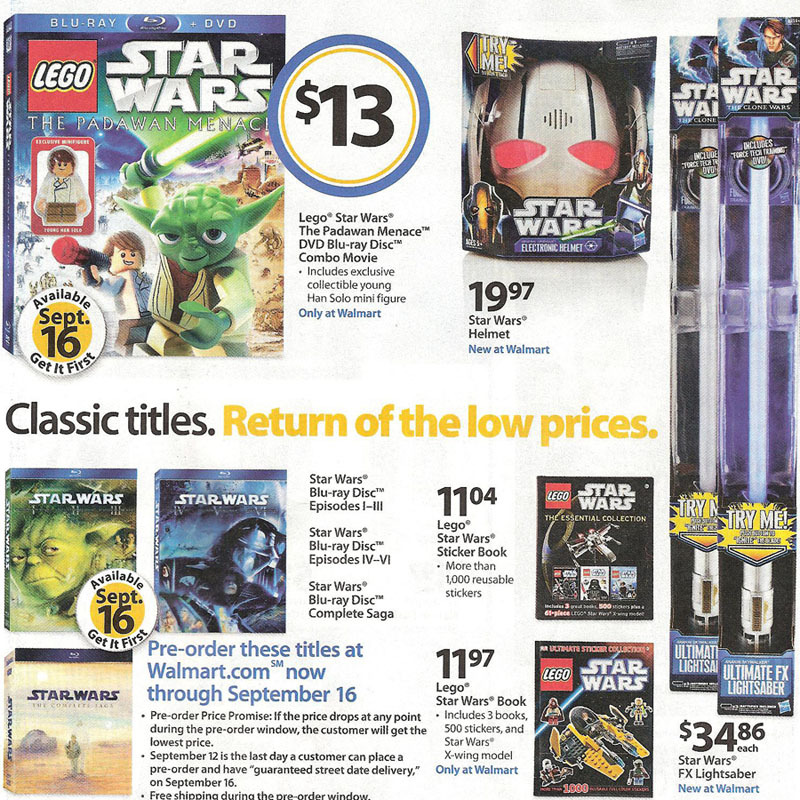 This week at Walmart, you'll find a number of Star Wars items featured in their weekly circular. The new Star Wars Helmets are listed at $19.97 each and the new Ultimate FX Lightsabers are listed for just $34.86 each. In addition, the LEGO Star Wars: The Padawan Menace special blu-ray combo pack is featured for just $13 and due on Spetember 16th. Just a reminder that JediDefender is giving you the chance to win the 2011 San Diego Comic-Con Indiana Jones 30th Anniversary Figure Set (aka the Raiders of the Lost Ark "lost wave") from Hasbro! Check out their Give-Away page for the details on how you can enter to win! After taking a bit of a summer hiatus, JediDefender's Collect All 92! feature is back! Click on over to JediDefender's forum to check out the comparison pics for the brash Luke Skywalker (Jedi Knight Outfit)! LucasArts has updated the Star Wars: The Old Republic website with a new developer walkthrough, the Eternity Vault. In the video, BioWare’s Dallas Dickinson guides you through the opening minutes of the operation. This weekend, the Dark Horse Digital Store is running a sale on Star Wars: Knights of the Old Republic back issues. All single issues are just $0.99 each today, tomorrow and Sunday! Click on over and catch up on KOTOR. Entertainment Earth is running a new Clearance Sale this week. Hundreds of items are on sale for up to 85% off the regular price. Act fast if you're interested in anything - the clearance deals only last into next week! Sideshow Collectibles has announced the final edition size for their new Han in Carbonite Premium Format figure. Jabba's favorite wall decoration will be limited to 2000 pieces worldwide. He's still available for pre-order, so grab one before they're gone! StarWars.com has posted an excerpt from Shadow Games, the latest Star Wars novel from author Michael Reaves and Maya Kaathryn Bohnhoff. Click on over to check out the excerpt and look for the book in paperback and eBook format in November from Del Rey Books. The Official Star Wars Website has posted a new feature on the Star Wars Saga on Blu-ray. Follow the link to check out the story, which explains some of the ways they've restored the Star Wars Saga to make it look oh, so pretty for those HD TVs we all own. Just a quick reminder that the Jedi VIP ticket packages for Star Wars Celebration VI go on sale tomorrow! Check out the link for all the details on what you get and how much it costs for the VIP tickets. Star Wars Celebration VI will take place August 23-26, 2012 at the Orange County Convention Center in Orlando, Florida. 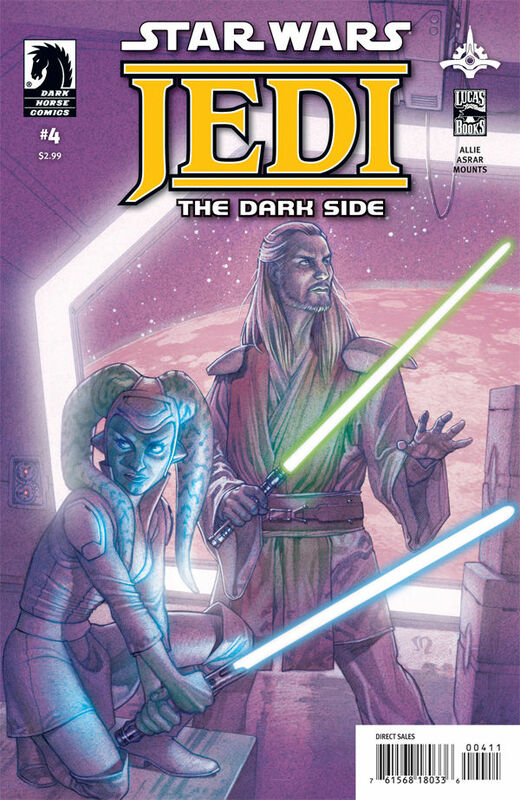 Arriving at your local comic book shop this week is Star Wars Jedi: The Dark Side #4 from Dark Horse Comics. Can't wait to read it? Well then check out Dark Horse's website for a preview to tide you over! Starting today, JediDefender.com is giving you the chance to win the 2011 San Diego Comic-Con Indiana Jones 30th Anniversary Figure Set (aka the Raiders of the Lost Ark "lost wave") from Hasbro! Check out their Give-Away page for the details on how you can enter to win! - It looks like a full list of the Star Wars Saga on Blu-ray deleted scenes may have hit the net. You can see the list here! - Also, some of the tech websites got a first-hand look at the content of discs 5, 7, and 8 from the Saga box set. Check out one of the reports here! Wave 25 (aka Fall 2011 Wave 3) of the Clone Wars basic figure line has started to hit K-Mart stores. I know what you're thinking - what happened to Waves 23 and 24, and K-Mart? Really? Yep, K-Mart. The other two waves should appear shorty as all three waves have been hitting on-line shops over the last week or so. LucasArts has updated the Star Wars: The Old Republic website with a look at Warzone: Huttball, one of the Player-vs-Player (PvP) Warzones in the game. Head on over and watch the video to see how the game is played so you can start building your strategies now. The gang at Yakface.com have posted a price list for the latest batch of new Target DPCIs that are making their way around the internet. Looks like they are getting ready for a bunch of great new Star Wars items this Fall! Sideshow Collectibles is now taking pre-orders for the 1:6 scale Chalmun's Cantina figure environment. Click here to pre-order the standard edition or click here to take advantage of the FLEXpay option. 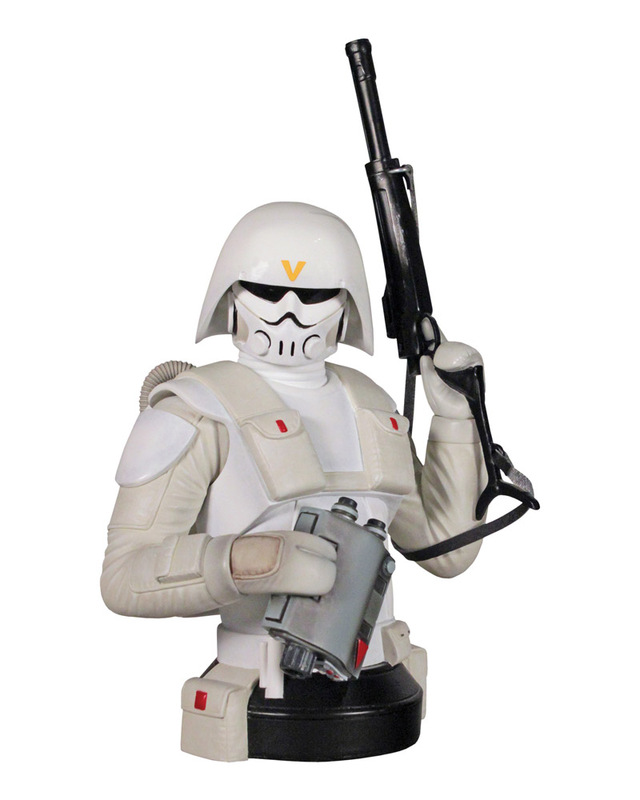 Entertainment Earth is now taking pre-orders for the 2011 San Diego Comic-Con exclusive McQuarrie Snowtrooper Mini-Bust from Gentle Giant. If you missed out on this bust at the show, now's your changce to grab one! Entertainment Earth is running a new Bust Sale this week. When you buy one in-stock bust at full price, you'll get a second bust of equal or lesser value at 50% off! Just put any two in-stock busts in your shopping cart and they'll insert a coupon in your cart that gives you the lowest-priced bust at 50% off at checkout! Offer expires August 23, 2011. Cartoon Network has announced that Season Four of The Clone Wars will make its premiere on Friday, September 16th, at 8pm (et/pt). The special one-hour season premiere event consists of two back-to-back episodes - "Water War" and "Gungan Attack". Just a reminder that Sideshow Collectibles' 1:6 scale Chalmun's Cantina figure environment will be available for priority pre-order through the Sideshow Newsletter Thursday, August 18th (typically between 2PM and 3PM Pacific). To whet your appetite, Sideshow has posted the product image gallery a bit early! Arriving at your local comic book shop this week is Star Wars: Knight Errant - Deluge #1 from Dark Horse Comics. Can't wait to read it? Well then check out Dark Horse's website for a preview to tide you over! StarWars.com has posted a few new preview videos that offer a sneak peek at some of the features and extras included in the upcoming Star Wars Saga Blu-ray release. Follow the link to check out the videos. This week at Target, you'll find a number of Star Wars LEGO sets on sale. 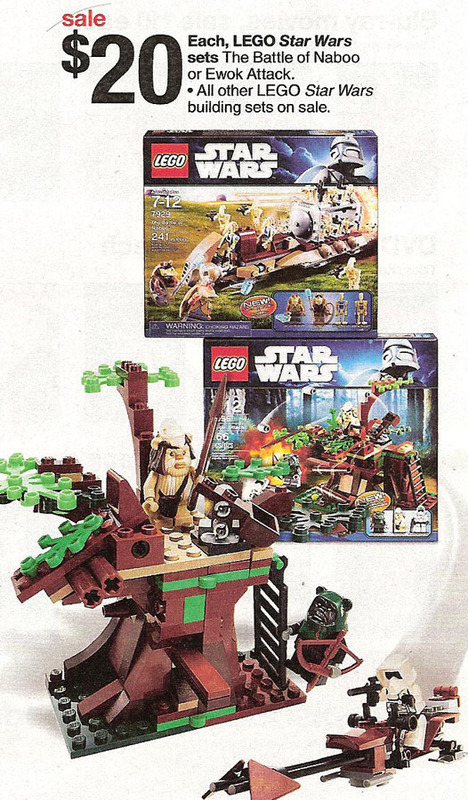 The Battle of Naboo and Ewok Attack sets are shown for $20 each. All other LEGO Star Wars sets are also on sale for 5-15% off as well. That new LEGO Millennium Falcon set is so tempting, don't you think? Dark Horse Comics has updated their blog with new character sketches from the next Star Wars: Knight Errant story arc. Look for Star Wars: Knight Errant - Deluge #1 on shelves this Wednesday, August 17th. Star Wars: The Old Republic - "Fan Friday"
LucasArts has posted another new edition of Fan Friday, which showcases highlights from the Star Wars: The Old Republic on-line community. Click on over to check out the fan art, fan fiction, and more. The gang at Sandtroopers.com have posted a new gallery featuring the upcoming Vintage Collection Prototype Boba Fett figure. Click on over and check out the new pics of the latest mail-away figure from Hasbro. Epic Ink has updated the Star Wars: The Blueprints website with a behind-the-scenes look at the making of the book. Follow the link to check out the video, which includes a number of interviews with LFL effects big-wigs and a peek inside the Lucasfilm Archives at Skywalker Ranch. Sideshow Collectibles is now taking pre-orders for the extremely limited Darth Maul Bronze Statue! Click here to pre-order the standard edition or click here to take advantage of the FLEXpay option. Sideshow Collectibles has posted a new teaser image to announce the priority pre-order information for their Chalmun's Cantina Environment! Priority Pre-Ordering will begin on Thursday, August 18th, with the launch of their weekly newsletter. Attention all you Star Wars fans who happen to be coin collectors - the New Zealand Mint will be creating legal tender Star Wars coins for the Government of Niue. Look for the first set of coins to be released later this month at the American Numismatics Association Show in Chicago. Just a reminder that Sideshow Collectibles' Darth Maul Bronze Statue will be available for priority pre-order through the Sideshow Newsletter tomorrow, August 11th (typically between 2PM and 3PM Pacific). To whet your appetite, Sideshow has posted the product image gallery a bit early! HasbroToyShop.com is running a new promotion that will get you one free Star Wars action figure with any Star Wars purchase of $10 or more. The free figure varies, so it's the luck of the draw on which figure you'll get. Offer expires August 22nd or while supplies last. My pal iFett passed along news of a LEGO discount coupon code for Barnes and Noble. Use coupon code A4N4M4V to save 30% off one item with free shipping on most orders of $25 or more. Arriving at your local comic book shop this week are two new comics from Dark Horse - Star Wars: Invasion - Revelations #2 and Star Wars: The Old Republic - The Lost Suns #3. Can't wait to read them? Then follow the links for previews to tide you over! This week at Toys R Us, you'll find a "2-for-$10.99" deal on a bunch of the Hasbro action figure lines. This definitely includes the Clone Wars and Saga Legends basic figure lines, and in some markets (but not all) it includes the more expensive Vintage Collection basic figures as well. LucasArts has updated the Star Wars: The Old Republic website with some new details on the Jedi Consular player class. Click on over for new info on the class' advanced professions, the Jedi Shadow and Jedi Sage. The former SDCC exclusive Star Wars: Republic Commando box set is once again in-stock at ToysRUs.com! If you can't wait for the set to hit your local store, head on over and order while you can. UPDATE: And now it's gone again. Sideshow Collectibles has posted a new teaser image to announce their limited edition Darth Maul Bronze Statue. Priority Pre-Ordering will begin on Thursday, August 11th, with the launch of their weekly newsletter! 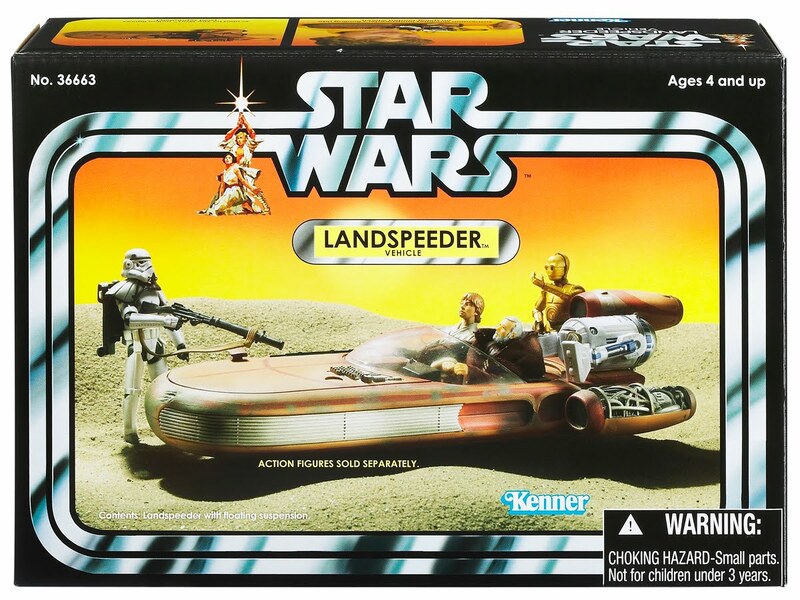 Our pals at Sandtroopers.com have posted a pile of new loose and boxed images of a bunch of upcoming Clone Wars and Vintage Collection toys. You can check out the galleries here and here. 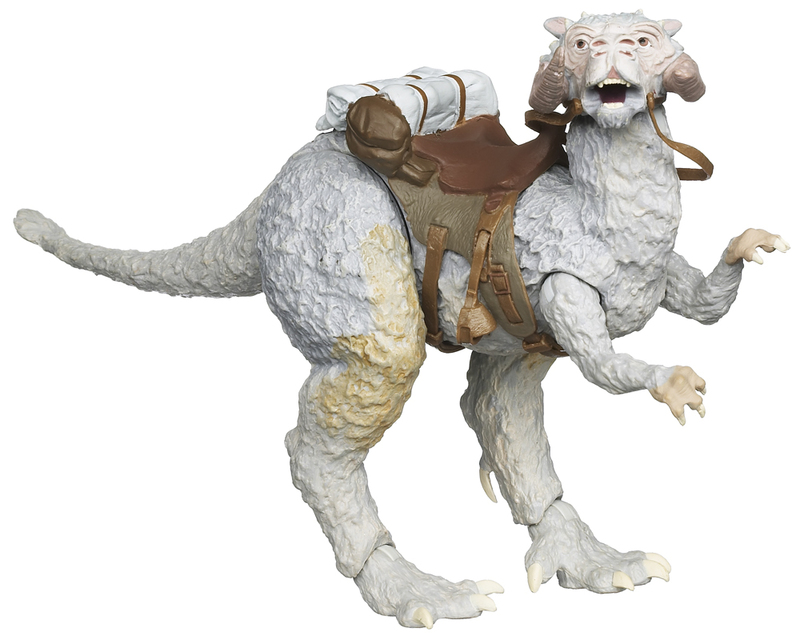 Man, I cannot wait to get my hands on those upgraded Taun-Tauns!